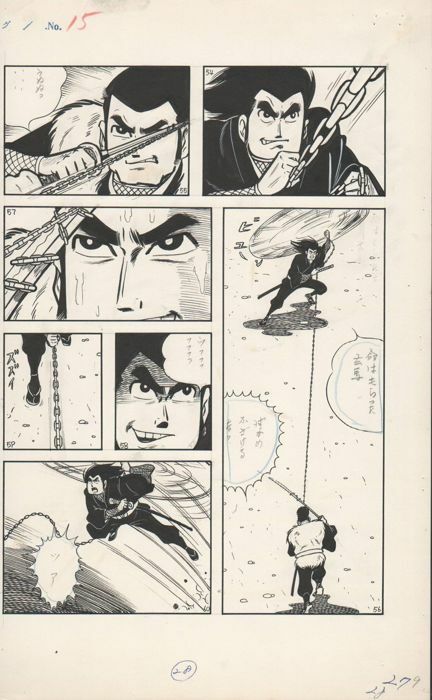 Original manga art published originally in 1963-64 in Shonen Kingu magazine nº 1 (Shônengahôsha publishing) as Samurai-ninja serial, and later collected in it´s own title series in two volumes. 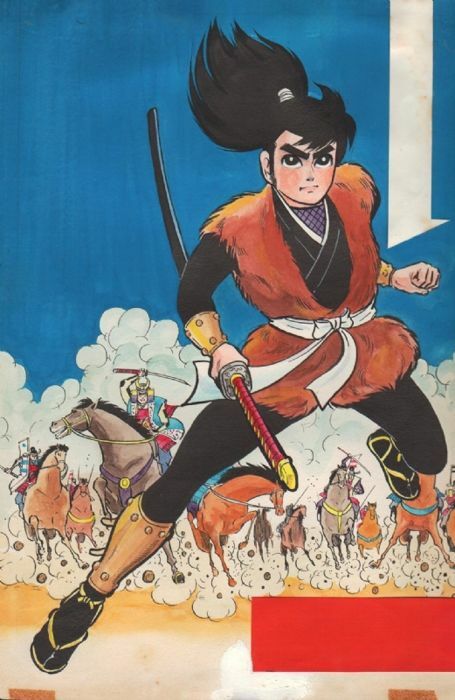 Sengoku Ninpoochoo was a famous radio serial at the time, adapted into manga by writer Mamoru Sasaki (1936-2006) who larer would become a famous film-anime writer and artist Yukimori Kurumi (1929). 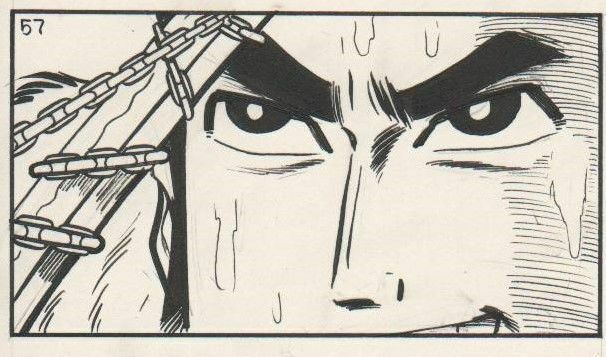 This is a very high quality work extremely hard to find even in Japan. 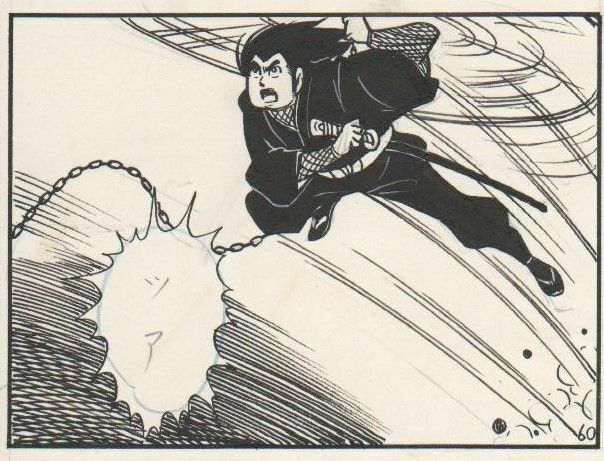 Cover shown here only for reference as picture 3.